Psalm 115:8, "They that make them are like unto them; so is every one that trusteth in them." This morning, society is sadly shifting in many different and crumbling ways. Due to the constant press of the world against the church, these crumbling and devalued mindsets sometimes infringe on the thinking of good-minded people. One of the thoughts of the world today is that of tolerance and acceptance for things that someone does not agree with. For example, people are being told that they must accept and tolerate things that bother their conscience. This constant "preaching" of tolerance and acceptance has led to a misguided mindset that we must be more tolerant and accepting of ideas in a church setting. Therefore, basic principles of doctrine are not as steadfastly adhered to as they once were and should be now. This past weekend on a trip to another state, I saw a church sign that said, "Doctrine divides, we accept all." While passing by, I could not even discern what type of church it was (denomination), and perhaps it did not even claim one. Disintegrating thoughts on the importance of doctrine lead to more than just an error in that doctrine. Like a faulty foundation on a house, crumbling doctrinal ideals will affect the structure on top of the foundation. Have you ever heard someone espouse something akin to, "Doctrine is some deep, theological teaching. It's something that preachers fight about, but is not really important or relevant for the rest of us." These people's intentions may not be ill-meaning, but the espoused concept poses great danger to many realms outside of the doctrine. What someone believes about God, what He has done, how He works, and how He interacts with us, will play a great role in how their life flows from those beliefs. The Psalmist in the context of our study verse has laid a great contrast between God and the idols of this world. In one of the grandest declarations of God's sovereignty, he states that our God does "whatsoever he hath pleased." (Verse 3) The contrast to that power, rule, authority, and sovereignty is that their gods are powerless: hands that do not feel, feet that do not walk, mouths that do not speak, ears that do not hear, eyes that do not see, and noses that do not smell. (Verses 4-7) No greater contrast could be found! One has all power and might, while the others have none. After making such a contrast, the Psalmist then states in our verse that the worshippers of these idols are like the idols themselves. Those that trust in vain gods are just like they are. What exactly does that mean? From the context, we conclude that those that worship false gods are powerless with body parts (hands, noses, eyes, ears, etc.) that do not perform the expected function. Their belief system robs them of any power, strength, or ability that one would expect them to have. One might say, "But preacher, we all worship the same God." Some might even say, "We all follow the same Jesus." Do we? Does our view of God measure up to verse 3? If our belief system impeaches the power, rule, and authority of the God that Psalmist so sweetly declared, then we follow vain idols of our own imagination. What conclusion does that reach? The simple conclusion is that false ideas about God and our continuance in them affects our lives in ways other than a simple belief. What we believe does affect our lives! Our belief mirrors the God (or god) that we claim. The doctrinal belief system has a substantial impact on the effectiveness of the practical structure. Using the Psalmist's example, if our gods have no power to help or save, then how could we reasonably think that we can do all things through the strength and help of our god? 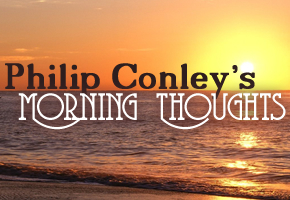 Paul says that he (and encourages us too) can do all things through the strength of Christ (Philippians 4:13), but can we really embrace the thought with the comfort and assurance of reliability if we believe that Christ "tried" to save and did not "really save?" The simple point is that we cannot draw strength from a god that intrinsically has no strength of his own. Let us consider two commonly held Christian worldviews about God and His Son Jesus Christ, and see what attitude that produces in people. The first commonly held Christian worldview is that of the classic Arminian dogma that states that God wants us to accept Him and be His children. In this scenario, the "god" is one that wants to save but leaves the power of salvation to the person. Also, this "god" has done nothing for free. Therefore, if one who worships such a being is "like unto them" from the language of the study verse, what kind of lifestyle would we expect to see? We would expect that such an individual would be generally unwilling to do anything for free or strive to go over and above what is required. Sadly, in the "works based" society in which we live, the ideas of doctrinal Arminianism have bred lifestyles in many that match the "nothing is free" attitude. Contrast that mindset against a proponent of free grace; the proponent of free grace will strive to freely give as he has freely received. Since the power to save fully came by the One that is worshipped, the free grace follower knows that sufficient strength has been imparted to deal with life's struggles and face the despairs of life. Another prevailing mindset in Christian worldview espouses the idea that God diabolically controls every event of life, pitting good and evil against each other to bring some "greater good" out of things. Quite often, proponents of this idea say that God has two wills to affect this in the world in which we live. The "secret vs. declared will of God" is posited as some logical construct to explain the belief system. However, the center of such an idea is two-faced falsehood. Should God declare that He hates sinfulness but yet secretly bring it about and fashion it (use it) to some greater good, then God has "played both sides of the fence" and does not look at evil and sin really any differently than He does goodness and righteousness. Those who claim this belief about God will have absolutely no reason whatsoever to deal equitably and honestly in their daily lives. After all, their god does the same thing regularly. If the god does it, one can presume that his followers will as well. Therefore, whether the two-faced god of the Absoluters or the business-minded god of the Arminians, one can expect to find either untruthful double dealers or shrewd deal makers in those that follow them. However, if we believe that God has control, does what pleases Him, and has accomplished that whereunto He is pleased (Verse 3 again), then how should the lives of such believers look? If we are like unto Him, then we show forth the power of His salvation in our lives. Our righteousness does not affect our salvation, but rather, it shows that He has given us life by His power. (II Peter 1:3-4) We are displaying that His power dwells in us solely by His grace and mercy. If we believe He is honest about what He does and why He does it (I.e. He does not directly or indirectly lie), then our lives will be marked by a lifestyle that is above board and earnestly seeking on a regular basis to be honest and plainly transparent individuals. Since our God is a God of justice coupled with mercy and grace, then we as His followers should prize justice but also follow a path of mercy and compassion when we can. How important is doctrine? Due to the way it touches other aspects of our lives, it is vitally important. How important is it that we stand firm on principles that other things build upon? It is vitally important so that aspects of our lives are not compromised. When people look at our lives, our lives should declare for them what our doctrine is. May our lives be marked by the power of His might in a walk of newness of life. May our compassion and mercy shine forth regularly, with a high prize being placed upon justice and equity in our dealings. May our lives look like the God that we declare as ours, who today sits in heaven and hath done whatsoever pleases Him.